Warm sun + fresh vegetables + hot oven + chef’s skill = perfect afternoon in the garden. I love dining al fresco – it seems to be even more decadent for us in Canada, since its a precious few months we can sit outside and enjoy meals. To be able do sit outside for a meal is one thing, but to eat in the garden – its even better. 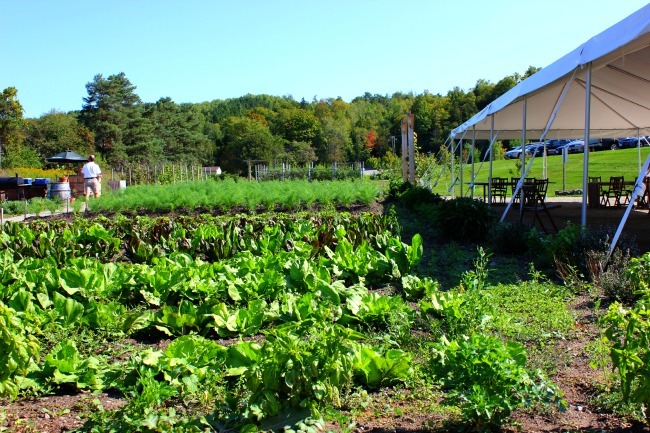 At Hockley Valley Resort, the kitchen garden is a four acre stretch alongside the resort, and and adjacent tented area, for guests to sit on weekends and enjoy Pizza in the Garden. 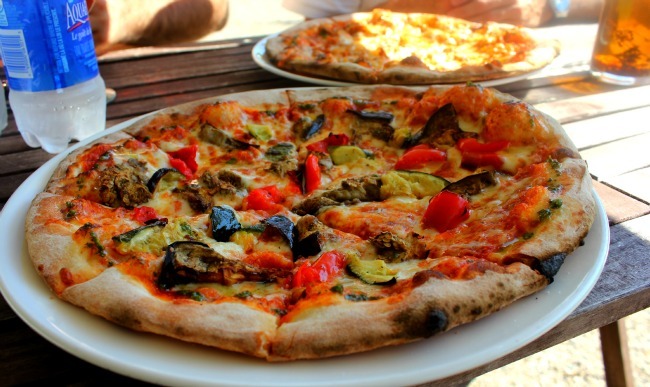 The chef is set up beside the wood-fired brick oven, surrounded by the current fruit and vegetables still growing. 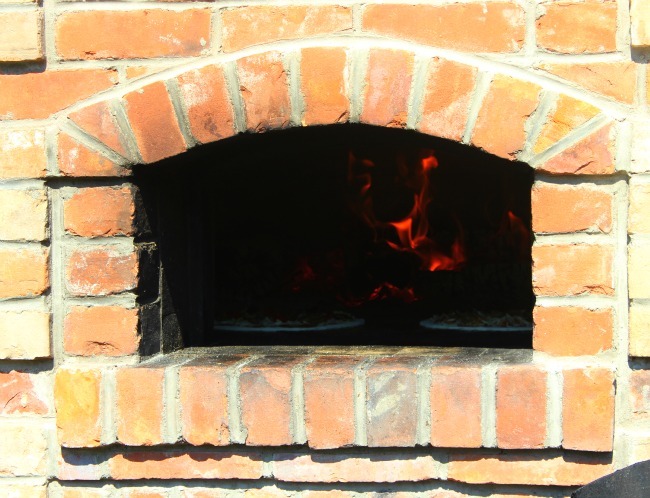 Many of the items offered on the pizza came out of the ground right beside the outdoor kitchen. Beyond the tasty lunch offerings, the atmosphere is what makes this experience memorable. All the senses are involved. Feeling the warm sun or gentle breeze on your skin, as your palate indulges in a mix of garden vegetables, melted cheese and crispy dough – who wouldn’t want to experience this kind of sensory overload? The joy of dining and travel – all wrapped up together.